EU agencies are clearly ‘on the move’: they both are increasingly proliferating and obtaining more and more discretionary powers. Yet, both the mushrooming of EU agencies and the increasingly broad powers that are conferred upon them raise questions regarding their constitutionality, their legal basis, the powers that can be delegated to them as well as the very reason for the existence of EU agencies, their independence and accountability. This paper will critically analyse these issues. constitutional framework, their legal basis and delegation of powers to them (section 3). It will then examine their independence and accountability (section 4). In conclusion, it will highlight remaining challenges that arise from resorting to EU agencies (section 5). Les Européens ont collectivement réussi à faire face à la crise financière des dernières années. Cet épisode majeur a néanmoins laissé de profondes traces. Dans ce contexte de rétablissement progressif, la construction européenne semble à présent particulièrement menacée par une double contestation. Externe, avec l’élection d’un président des États-Unis pourfendeur du projet européen et avec la politique expansionniste menée par Moscou. Interne, avec la progression continue de l’euroscepticisme, les divisions sur les questions migratoires et le départ programmé du Royaume-Uni. Soixante ans après la signature du Traité de Rome, l’Europe souffre de ses désaccords et de l’absence d’un projet commun affirmé par ses États membres. The British government’s approach since 2010 of seeking to enhance the UK's relations with the world’s emerging powers while balancing these with relationships with the United States and Europe has had only limited success. With constrained resources, and in the face of intense global economic competition, mounting security challenges and decaying international institutions, trying to commit the UK equally on all three fronts will not succeed in the future. - The first or ‘inner circle’ is the EU, the region with which the UK’s relationships need to be strongest and most active. - The ‘second circle’ consists of the protective and enabling set of economic and security relationships with the US. - Finally, an ‘outer circle’ comprises the UK’s other key bilateral and institutional relationships. La survie et le succès de l'Union européenne dépendent de la vitalité de la zone euro. La priorité est en conséquence de donner à celle-ci une perspective claire à 10 ou 15 ans et de la transformer progressivement en un espace réellement intégré, qu'il s'agisse des engagements nécessaires pour mettre en oeuvre des politiques économiques saines et convergentes, de la volonté de recourir aux instruments de solidarité les mieux adaptés ou de l'adoption de règles de gouvernance adéquates. Ainsi seront réunies les conditions d'une nouvelle croissance et d'un meilleur emploi. L'Union européenne, à 28 Etats membres, doit elle aussi retrouver le chemin de la rigueur et de l'efficacité. Il convient de lui assigner quelques objectifs politiques essentiels, objectifs d'ores et déjà énoncés dans les traités et dont la mise en oeuvre concrète devrait être approuvée par tous les Etats membres : énergie et environnement, marché intérieur, défense, conditions nécessaires pour préserver la libre circulation des personnes. The survival and success of the European Union depend on the vitality of the Eurozone. The priority is therefore to give the Eurozone a clear perspective for the coming 10 to 15 years and gradually to transform it into a truly integrated area. This approach must embrace the commitments necessary to implement sound and convergent economic policies, a determination to embrace practical instruments of solidarity and the adoption of meaningful rules of governance. These are the keys to new economic growth and higher levels of employment. The 28-member state European Union has too to find the path of rigour and efficiency. We should agree on a few essential political goals. These goals are already there in the treaties: their concrete implementation now has to be agreed and accepted by all Member States. Energy and the environment, the internal market, defence, and the necessary conditions for the free movement of individuals, are the key policies. En 1985, Jean-Pierre Chevènement, alors ministre de l’Éducation nationale, lance l’objectif d’amener avant l’an 2000 80 % d’une classe d’âge au niveau du baccalauréat. La proportion de bacheliers stagne alors depuis plusieurs années en dessous de 30 %. Dix ans plus tard, en 1995, elle dépasse 60 %. Il y a, bien sûr, matière à critiquer les effets collatéraux d’une mutation aussi rapide. Mais le pays, qui compte 500 000 étudiants de plus, a commencé de combler son retard éducatif. L’accès aux études supérieures ne sera plus l’apanage d’une minorité. L’objectif était clair et mobilisateur ; l’action a porté ses fruits. ■amènent les institutions à se réformer pour servir les objectifs qui leur ont été assignés. This briefing paper has been designed as an introduction to the governmental seminar held on August 19th, 2013. It was prepared during July-August 2013 by a group of experts from the CGSP. It includes comments and ideas for discussion concerning a ten-year horizon and sketches out an approach for developing a medium-term strategy, without in any way claiming to raise all the questions or provide suitable answers. Its principal aim is to initiate discussion on the agenda. 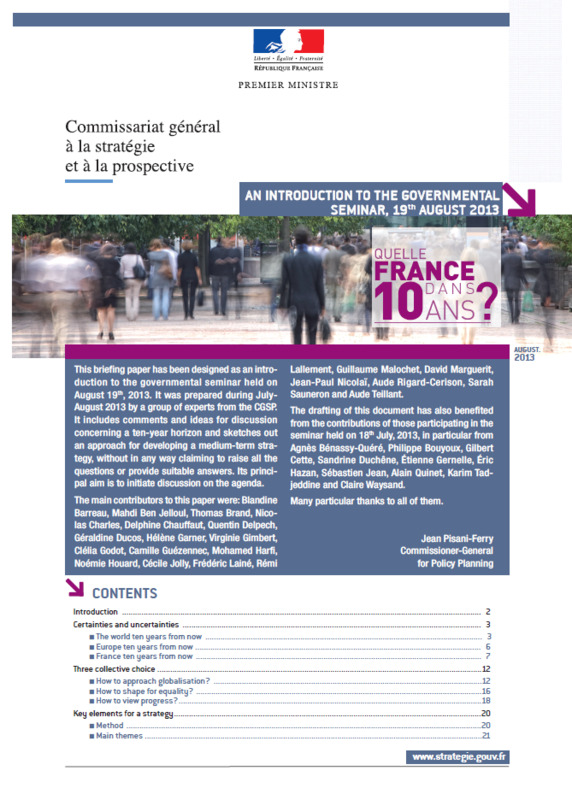 Thinking and debating about what the French people wish to be ten years from now, fixing the roadmap ahead on the basis of such discussion, and implementing the actions to be taken will enable the country to come out from its current confusion. France in 2013 is not the France of the 1970s, nor even that of the 1990s. The priorities and urgencies of today are not the same as they were. The State is no longer able to decide for society as a whole. Continuity and consistency are essential to address the issues to be tackled, and adopting a rigorous method will be extremely worthwhile. In this context, the current briefing paper is divided into three sections. The first provides a brief snapshot of the world, of Europe, and of France in the next ten years. 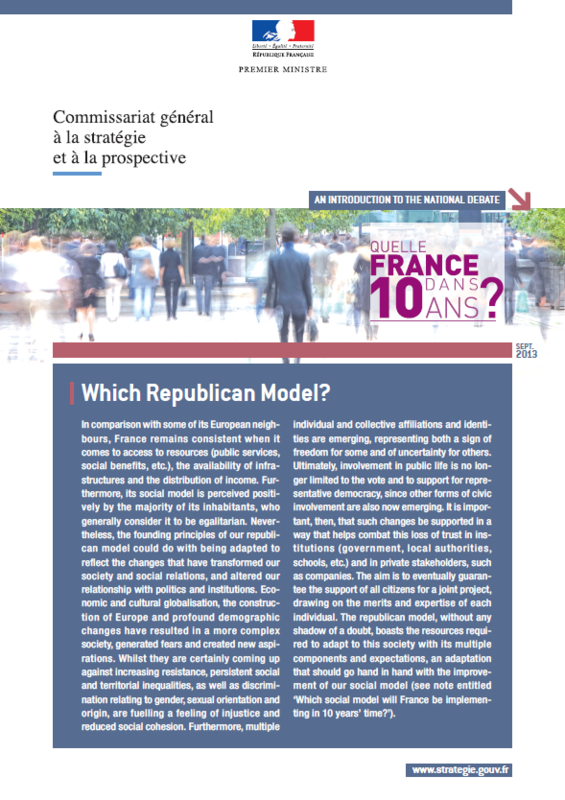 The second dwells on three key collective choices that are particularly important for French society. The third suggests methodological elements and some reference points as an aid to producing a ten-year strategy. 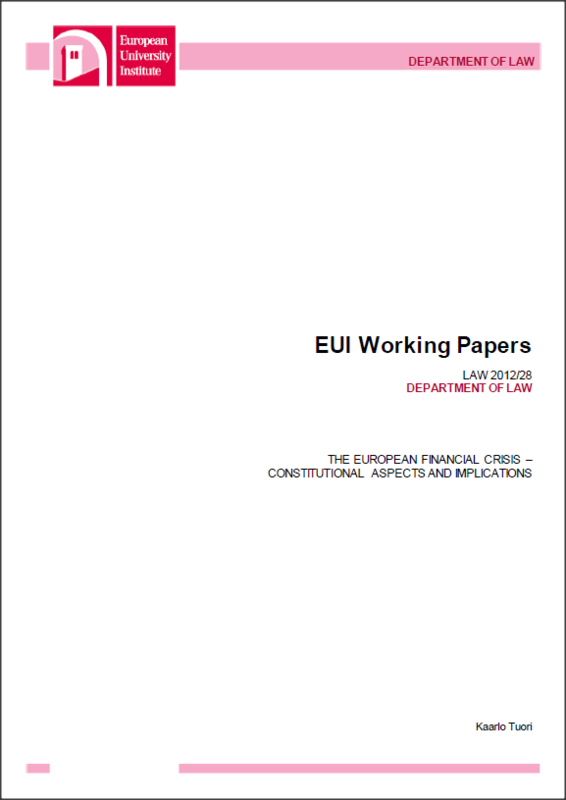 With its provisions on the EMU, the Maastricht Treaty introduced a new, ’macroeconomic’ layer into the European economic constitution. The Maastricht layer of the European economic constitution was based on the following principles: exclusive competence of the EU in monetary policy in the euro area; price stability as the primary objective of Europeanized monetary policy; independence of the ECB and national central banks; Member State sovereignty in fiscal and economic policy with the Union accomplishing a mere coordinating task; Member State fiscal liability as the reverse of their fiscal sovereignty; and primacy of price stability pursued by Europeanized monetary policy over national fiscal-policy objectives. The ongoing euro-area crisis is a constitutional crisis, too. The European responses to the crisis include, on the one hand, emergency measures and stability mechanisms, and, on the other hand, strengthening European economic governance. As a consequence of these responses, the central Maastricht principles of the European economic constitution are teetering. However, the present constitutional crisis should not merely be conceived in economic terms. It extends to the political and social dimensions; it also affects democracy and transparency, as well as social values and rights. Read more about The Future of Europe: Towards a Two-Speed EU? The State of the Union conference is an annual event for high-level reflection on the European Union, organised by the European University Institute (EUI) in Florence, Italy. 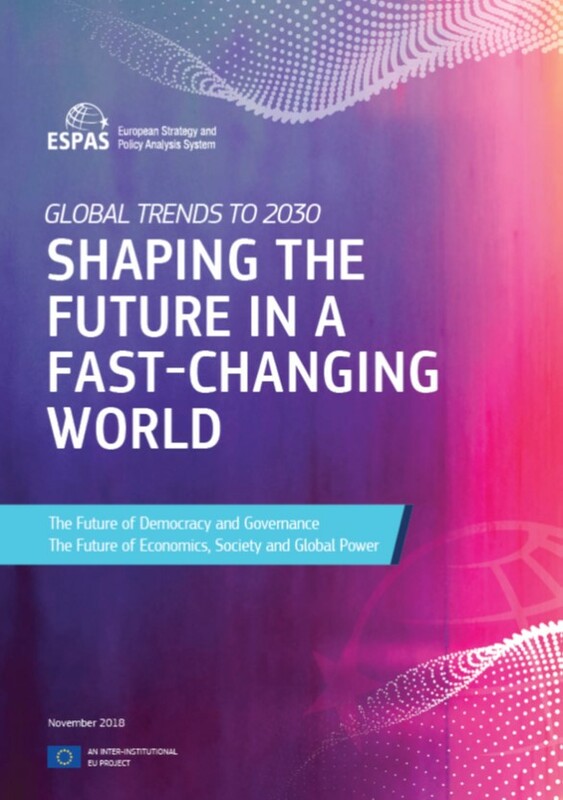 The conference brings together policy-makers, leading academics, and business and opinion leaders to discuss the present and future prospects of the European Union. 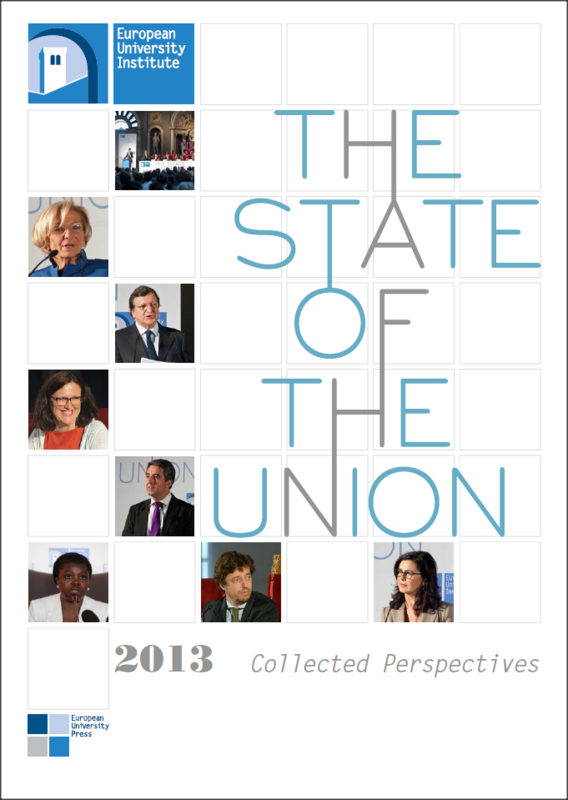 "State of the Union 2013: Collected Perspectives" brings together some of the keynote lectures, speeches, and papers presented at the 2013 State of Union conference. While Europe is the concern of the whole book, part I of the volume focuses on the theme of ‘Institutions and Democratic Governance’, while Part II focuses on the theme of ‘Migration and Citizenship’. Contributors include policy-makers, leading academics, and business and opinion leaders.